VisitScotland research shows that almost a third (30 per cent) of holiday-makers base their holiday around how suitable a destination is for their pet, and 72 per cent of dog owners say they would take more holidays in the UK if there were a better attitude towards their canine companions. Self-catering is the easiest and most flexible way of holidaying with a pet. Some self-catering properties are even equipped with stables, to cater for some of your larger four-legged friends! 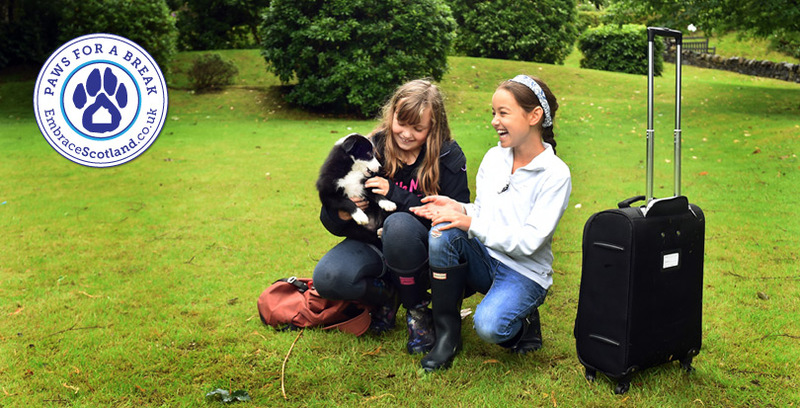 Owners of properties on EmbraceScotland who are part of the Paws for a Break Pets Welcome Scheme go the extra mile to ensure that pet owners and their pet companions feel comfortable on holiday, with appropriate facilities and services which will meet or exceed expectation. As a way to introduce our Paws for a Break Pets Welcome Scheme, we are proud to announce the first ever Paws for a Break Awards for pet-friendly accommodation. You can view the 6 finalists here.